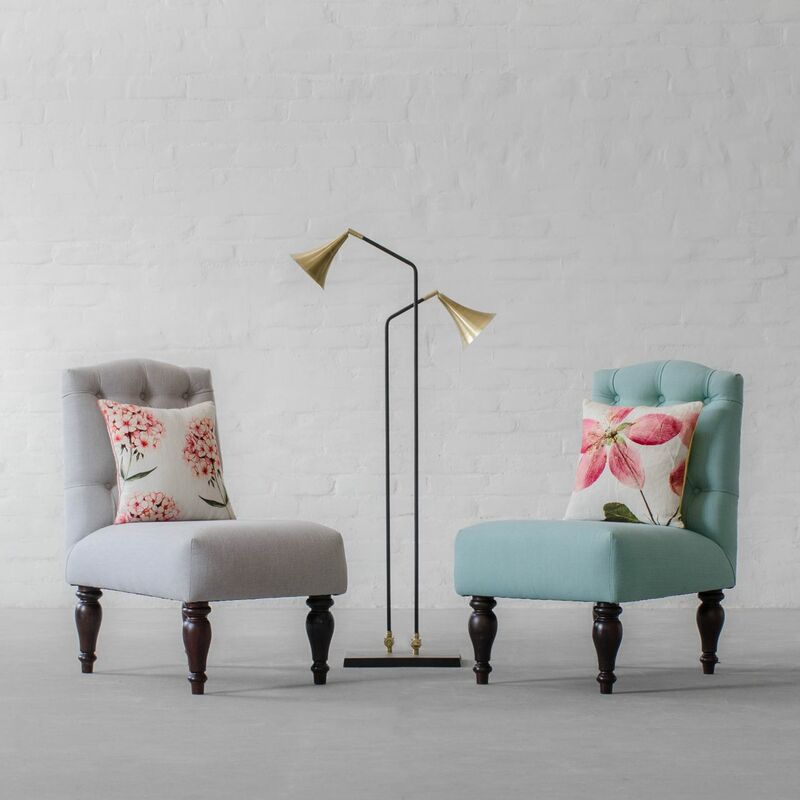 As extra seating next to a coffee table, particularly in small apartments, or prettying up the boudoir as a duo at the end of the bed, our petite armchairs are a great style statement. This classic style features a comfortable tight-fit seat and hand tufted camelback. The hand-turned solid wood legs, in walnut finish, add a touch of flair that perfectly complement the natural fabrics. Functional style is what our designers strive for, and the Verona Armchair from our Petite Collection is a perfect example of that.